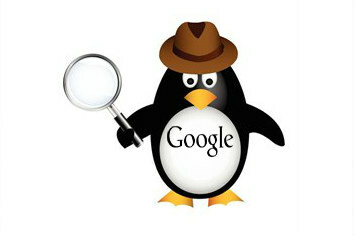 Do you know how to build safe backlinks post penguin? To build traffic and generate backlink is much difficult. We all know that traffic is important for every blog and website but to gain or boost is difficult, you have to promote your blog or site on everywhere to grab audience. In the same way, backlink is also as important as audience. You can get a backlink via commenting to others sites or do guest posting. There are also other methods are available on web. First penguin was released in April 2012. Penguin 2.0 was released in May 2013. If you want to get an link building and come up with ways to attract natural links and traction for your website or blog than you have to follow some effective post penguin link building strategies. Have a look! A s we all know guest posting and blogging is very important for our blog or site. You have to know the importance of guest blogging. It play an vital role in the field of getting backlink like an dofollow link. After the Google penguin is updated it need an fresh an unique content. Even if you are an businessman and want to promote your business online than guest posting become an important source. Social media play an vital role in the field of blogging. As we all know that if you want to promote or advertise something than social media is the best platform for it. It include Facebook, MySpace, Twitter, LinkedIn, Pinterest, Stumble upon, Google Plus etc. So if you want to grab full audience and targeted traffic for your blog or site than social media is the best option for it. There are million of users are available on web, even i am also one of the addicted person towards Facebook. If you want to write post for others blog or site but doesn't have sufficient time than you can hire an blogger or author for your site who writes on the behalf of you. As we all know that how the content of post is important for us. The post which you writes for your blog, it contain some targeted keywords and the article must be write in your words. Do not cheat, and don't try to copy from others blog. Otherwise you will be punished by Google. For the sake of getting Backlink, people generally write the article which is copied from others blog or site, this is not good. Google has adopt some techniques which recognize the copied content and illegal operations. You can organize some contests on your blog and in return you can offer some giveaways prizes to the winners. People generally enjoy Competitions, freebies and contests . When you start giving small freebies, not only will people like you but also they start writing about you. Most of the successful brands and bloggers use this technique regularly. Via these contests, people explore your blog or site on social networking sites like Facebook, Twitter, Google Plus etc. It will generate huge traffic to your blog.